Sometimes it is very useful to hide individual polygons in the paint room to protect them against overpainting. But if you use the "wrong" pen tip it became a big deal to hide the polygon. In this case you need to hit the exact polygon center which is sometimes really hard to manage. 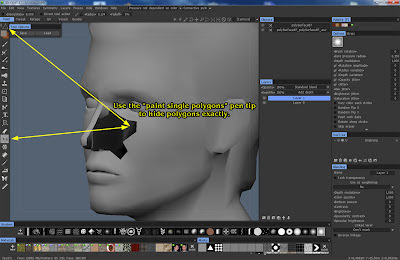 Change your pen tip into "paint single polygons" mode. Now you can hide all polygons just by hit any area of the needed polygon. This works perfectly in any camera perspective. 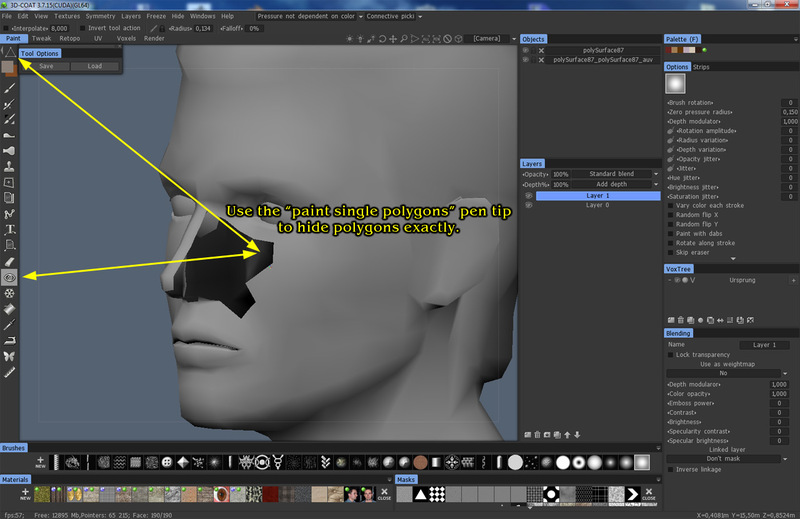 Example for using the right polygon hiding pen tip. Awesome video.Technology is really achieving new milestones regularly.